I don’t know about anyone else, but my home has felt a little wonky lately. This could be caused by a number of things…..but I’m pretty sure that my current level of sleep deprivation plays a big role. When I’m exhausted, I’m cranky….and when I’m cranky my whole family suffers. 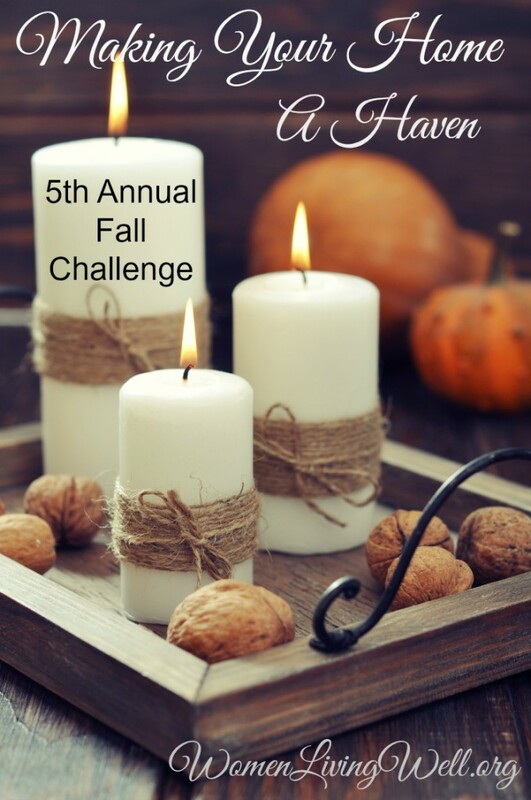 So, when I saw that Courtney over at Women Living Well is hosting the Making Your Home A Haven Fall Challenge again this year, I was super excited! I can’t wait to participate and witness the difference these small changes can make in our home. I intend to give it my all this year….because my family deserves a haven to be able to call home. Anyone else interested in joining this year?? ?